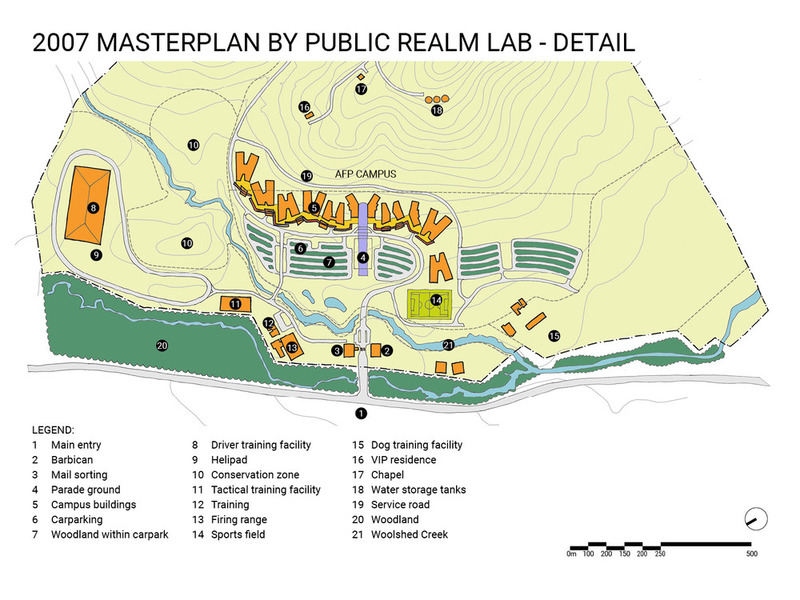 Public Realm Lab's involvement in the masterplanning of the Australian Federal Police Academy's (AFPA) Canberra site followed the rejection of two previous masterplans prepared by other teams in 2004 and 2005. A re-briefing task was undertaken by the Australian Federal Police (AFP) Strategic Design Manager Philip Ward in 2006 to determine changes to strategic objectives for the AFP organisation pertaining to the site, revised staff numbers, specialist facilities and staging requirements. 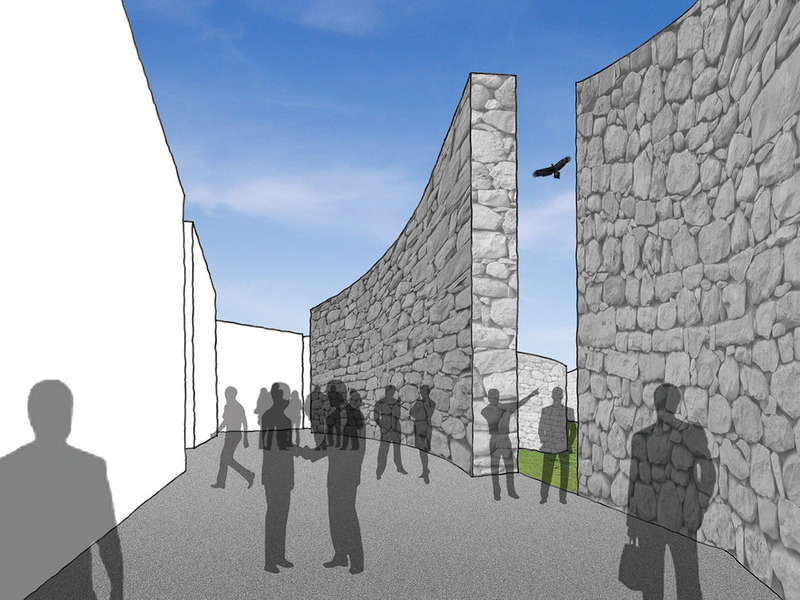 Security - The campus is entered via a secure Barbican gatehouse and shielded by a fortress wall from which long views provide surveillance and security. ESD - Building orientation, material selection, water, energy and services reticulation strategies combine to minimise energy usage and operational costs. Campus - The campus is a gentle mix of buildings following university campus philosophy. Within the campus, the experience is one of a complex village, in which shared facilities are drawn into communal zones to enhance communication between divisions. 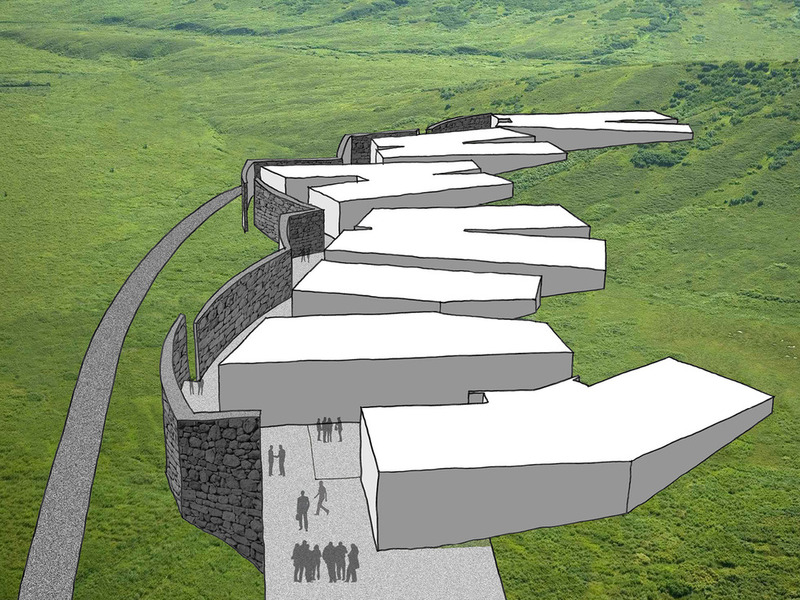 Landscape - The masterplan responds to the landscape context and makes strategic use of the site’s topography. Terraced gardens and courtyards are created between buildings, offering a range of different outdoor spaces for training, work and recreation. Ceremony - Central to the campus are formal ceremonial spaces. The entry and arrival experience are carefully curated through the manipulation of scale and views to enhance the sense of ceremony upon entry. 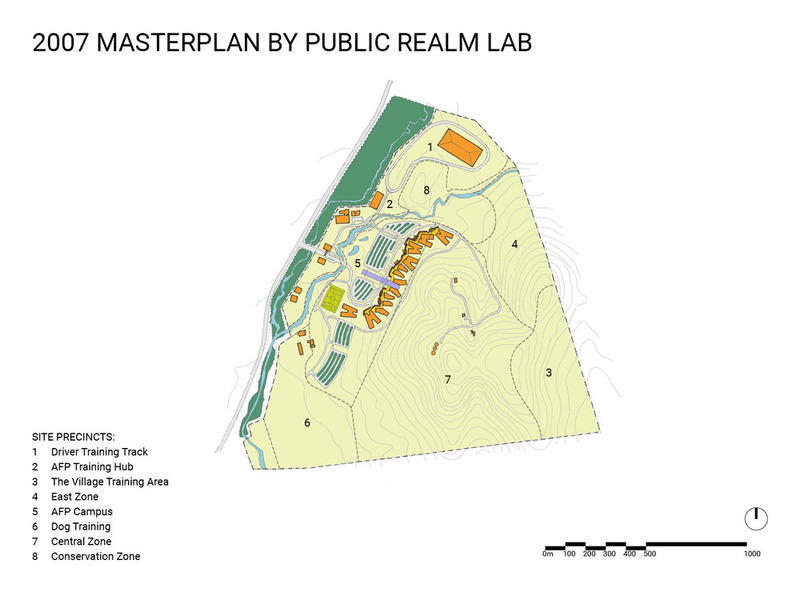 Future-proofing - The masterplan is based on flexible planning principles to allow for future campus expansion and to match the needs of the AFP for the next 10-15 years. 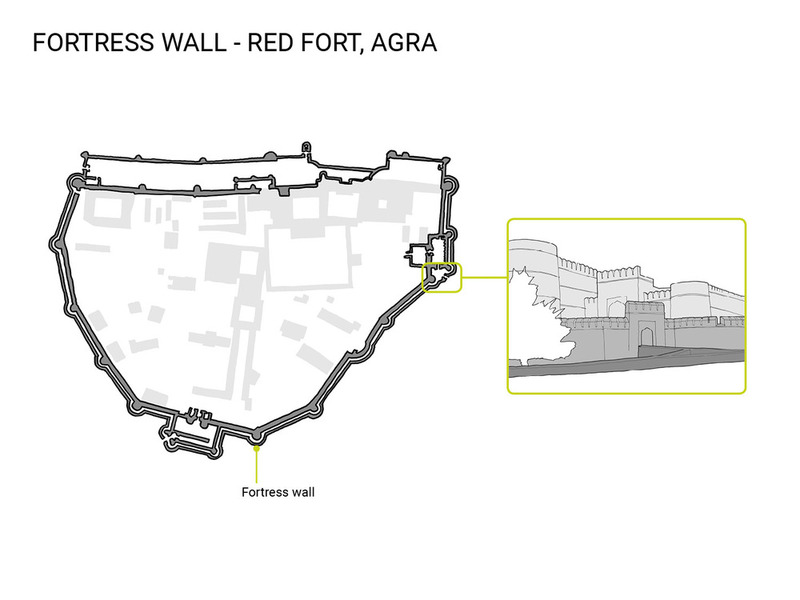 All of these themes are drawn together in “the Wall”, a metaphorical fortress wall that is an architectural expression of the AFPA site’s complex story.